On Monday 26th October Somerset County Highways will be closing South Street for one day to allow works to be carried out on the pedestrian crossing between the Balsam Fields junction and Wincanton Primary School. 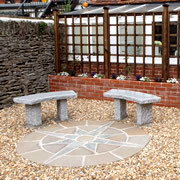 The opening of the Community Peace Garden, between the High Street and The Balsam Centre, on Saturday 8th August completes the restoration of the site owned by The Religious Society of Friends (Quakers). 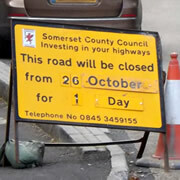 Bruton Road Works – Don’t Be Confused by the Signs in Wincanton! Don’t be confused by road closure signs in Wincanton that actually refer to resurfacing works shortly being carried out in Bruton. 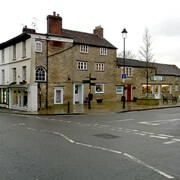 Silver Street in Wincanton is NOT closed! With the Verrington development appeal only a few days away, the town is in shock after a decision made by the Planning Inspectorate Chairman to allow the construction of 25 more houses on land west of Dancing Lane. 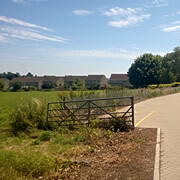 Appeal has followed appeal, and still the future of the site at Dancing Lane adjacent to Wincanton Community Hospital is undecided. The latest appeal will take place on Tuesday 14th July in SSDC offices in Wincanton, and will be open to the public. Here’s an opportunity for a national campaign to make a big difference at a local level. 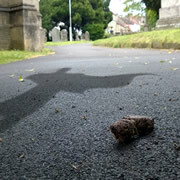 The topic of dog mess is a sensitive one, but owners can all become ‘Scooperheroes’ with very little effort. 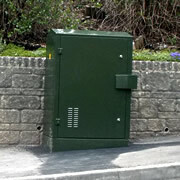 Somerset County Council confirms that Wincanton is being fast-tracked for the installation of fibre optic broadband cables. Work crews have already begun preliminary tasks, and work may be complete in as little as three months if all goes well. 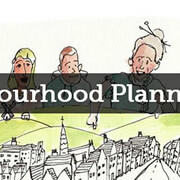 Two events in June give the public and the business community opportunities to participate in forming our Neighbourhood Plan, which will influence how our town will develop in future. Join Wincanton's Spring Clean-Up This Weekend! After many months of discussions and planning by the Town Team, the BIG CLEAN weekend has finally arrived. 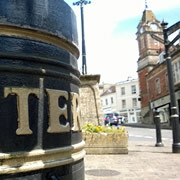 Join the team on Saturday and Sunday, 10.00am - 4.00pm, and help clean up Wincanton! 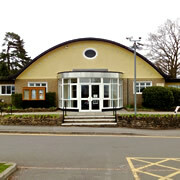 HQ will be the Memorial Hall. On Saturday 25th April 2015 volunteers, including members of C.A.T.C.H. 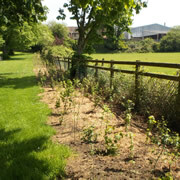 working with the Recreation Ground Working Group as well as other members of the public, worked tirelessly to prepare the soil and sow the seed for a new wild flower meadow near the play area. 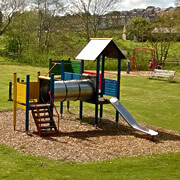 Wincanton Cale Park Play Area – Show Your Support! Proposals for the regeneration of Cale Park will take a step forward in the next few months with the submission of a major funding application to help upgrade and improve the children’s play area. Your support will help the application to succeed. 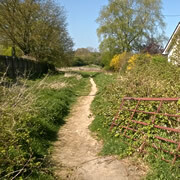 Some would tell me I should have spent the last two days canvassing, but I spent both days at the developer’s appeal to overturn our decision to refuse planning permission on the farmland behind Dancing Lane. Wincanton Town Team is organising a Spring Clean Wincanton weekend, on Saturday and Sunday, 23rd and 24th May and they want involve as many people as possible. Put some love back into our lovely High Street! 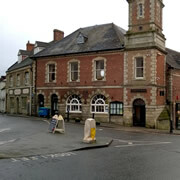 The Wincanton Neighbourhood Plan Steering Group is appealing to the local business community for help to ensure that their aspirations for growth, and future requirement for premises, are taken into account when the plan is drafted. As a District Councillor, I am delighted to have managed to influence the Local Plan in regard to large scale housing in Wincanton. 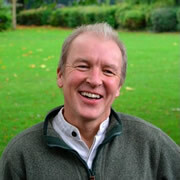 My views, put to inspector David Hoggard, have been reflected in his recent report about future development. Wincanton residents and traders offer thanks to the men working on Church Street this week, for managing to finish early and bring an end to an awkward diversion affecting almost the entire town. Church Street Closure & Road Works – URGENT NOTICE! 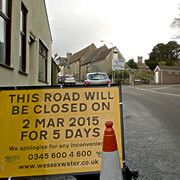 Wessex Water begins urgent work to repair collapsed drainage pipes in Church Street on Monday 2nd March. 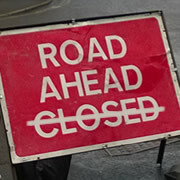 The road will be closed to traffic, with diversions in place for up to 5 days. People across our Somerton & Frome constituency have been showing me how, and where, our County and District Councils are pushing through inappropriate developments against the wishes of local communities like Wincanton. Join a meeting at King Arthur's on 3rd March to discuss with Green Party representatives. The ongoing regeneration of the Cale Park area takes another step forward on Sunday 1st March, with a tree planting morning. 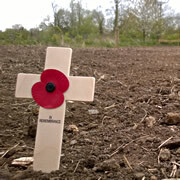 If you want to help with the planting work, volunteers will be very welcome! Confusion reigns in Galhampton. 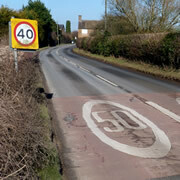 Liberal Democrat Parliamentary Candidate, David Rendel, has spotted a set of contradictory speed limit signs near his North Barrow home.